Have you ever wondered what type of tape is the most popular? 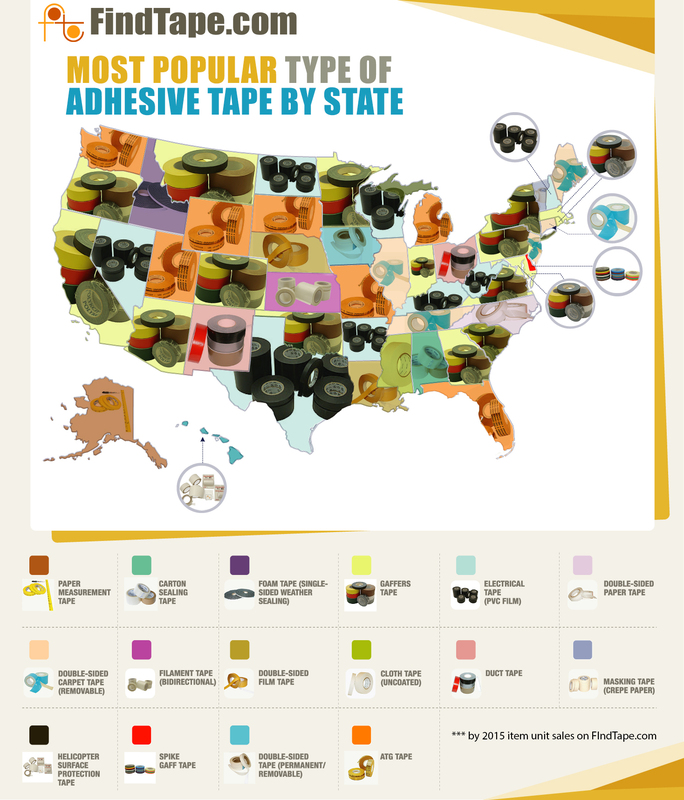 In the infographic below, you can find out exactly which type of tape features the highest sales in the state where you live. From foam tape to gaffers tape to duct tape, the answers range all over the board to show that Americans use a wide variety of tapes in their everyday lives. Let’s take a closer look to explore which types of tapes are popular in certain areas of the U.S. While you can surely find gaffers tape sold across the country, there’s no denying that it seems to be especially popular along the west and east coasts of the U.S. This type of tape reigns supreme in states like California, New York, South Carolina, Oregon and Pennsylvania. There are also a few inland states where this tape is preferred as well, such as Minnesota and Oklahoma. It’s likely that this tape’s popularity on the coasts, however, is at least somewhat related to the fact that these areas are home to more of the country’s film and television industries. After all, gaffers tape is widely used in theatre, photography, and films and television production, so it makes sense that it’s the most common tape in places like New York and California. Another popular tape across the country appears to be electrical tape. This is the most popular type of tape in a number of Midwestern, Southern and Western states, such as Wisconsin, Texas, Arkansas, Kentucky, North Dakota and Nevada. Since electrical tape is one of the most popular types of tape in general, there could be a variety of reasons that it’s so popular in these areas. However, it could be due in part to the fact that many of these states have thriving industrial economies where a strong, durable and reliable tape like electrical tape would be commonly used in work settings like factories and assembly lines. According to this infographic, ATG tape has climbed the ranks as one of the top tape options. It is found to be the most popular in states like Michigan, Florida, Utah, Wyoming, South Dakota, Washington and Missouri. ATG type of tape used with an adhesive transfer gun (hence the acronym ATG). It’s popular with crafters as well as those who work with retail displays and other design projects, so there’s a chance that the creative industries in these states are thriving based on the high sales of ATG tape in those areas. There are a few other tapes that made the cut for most popular in select states, such as double-sided tape, carpet tape and paper measurement tape. Whatever the reason for their popularity, it’s certainly fascinating to see which types of tape products are the most popular according to location. Does the type of tape you buy most often line up with the most popular type of tape in your state? Check the map to find out! Mark Twain was a scrapbooker with a big appreciation for adhesive. In fact, he was so passionate about scrapbooking that in 1872 he invented a scrapbook with preinstalled gummed strips. It turned out to be one of his most profitable inventions. Scrapbooking became popular in the 19th century with the explosion of newspapers and magazines, according to Ellen Garvey, author of Writing with Scissors: American Scrapbooks from the Civil War to the Harlem Renaissance. People clipped articles and pasted them into books to keep track of interesting news and information. More than a century later, the appeal of scrapbooking hasn't diminished. On May 2, thousands of crafters will celebrate National Scrapbooking Day. Of course, today's scrapbookers have many more design options, with dozens of adhesive tapes to choose from. As you prepare for National Scrapbooking Day, here are a few adhesive tapes to help add patterns, colors, and texture to your scrapbooking project. 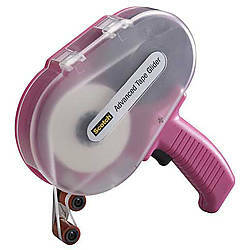 Many scrapbookers use ATG dispensers to make it easier to apply adhesive tape to pages. JVCC ATG-7502 ATG Tape offers good adhesion to paper. Plus, it's acid neutral, which is essential for securing photographs without harming them. Another great tape is Scapa T002 ATG Tape, also acid or pH-neutral with an acrylic adhesive and is very easy to work with. Many scrapbookers favor electronic cutting machines such as those from Cricut®. The Duck Brand Prism Crafting Tape works well in these, and it features a unique holographic / prismatic effect to add shine and dimension to projects. Patterns include small stars, squares and lots of dots. Imaginative projects require dozens of colors, designs, and textures, and these adhesive tapes offer no shortage. Duck Brand Printed Duck Tape is a patterned duct tape that tears easily by hand without curling and conforms to uneven surfaces. It's available in patterns such as ACU digital camouflage, black and white checker, blue tie-dye, dragon, hot rod flames, hardwood camouflage, leopard, orange tie-dye, paint splatter, pink zebra, skulls and zig-zag zebra. For more, shall we say, illuminating projects, Duck Brand Glow-in-the-Dark Gaffer Tape Sheets provide a decorative element. They’re available in 8-1/2 inch x 10 inch display cards (the material area is approximately 4-1/4 inch x 10 inch) and are photoluminescent after the tape is activated by an artificial or natural light source. Sheets are available in a variety of shapes including numbers, letters, stars and moon, and circles and stripes, as well as a plain sheet. To add texture to a project, Duck Brand Fabric Crafting Tape is a good choice. It’s a cloth fabric tape, available in several patterns: yellow speckled dot, pink with brown dots and white squares, coral multi stripe and blue pin dot. We discussed Washi paper tape in a previous blog post, here, but it too is a popular option for adding patterns, color, and texture to your scrapbook page. Duck Brand Ducklings Mini Duct Tape Rolls are perfect for trimming because they are very small. They're available in a multitude of colors and patterns, including black, blue surf flower, blue leopard, chrome, neon pink, neon lime green, pink zebra, rainbow, zig zag and paint splatter. When working with photographs, an acid free/pH neutral adhesive is essential. Acid can cause the tape's adhesive to yellow over time thereby ruining the image. 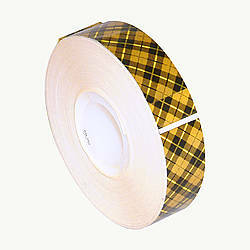 3M Scotch 908 ATG Gold Tape is photo safe in accordance with both Black and White Photographic Activity Tests and Color Photographic Activity Tests (per ANSI IT9.16). There are times when you'll want your photos have a bit more pop. One way to give them a bit of dimension is to use double-side foam mounting tape. 3M Scotch 108 Removable Foam Mounting Squares are approximately 1/16 inch thick and add just enough lift to make your photos stand out. Celebrate National Scrapbooking Day by joining a scrapbooking event or group. You can find an event near you using community sites such as Meetup.com. In the meantime, make sure you order your scrapbooking supplies well in advance, so you have everything you need. ATG dispensers are popular among scrapbookers, crafters, photographers, and event producers. 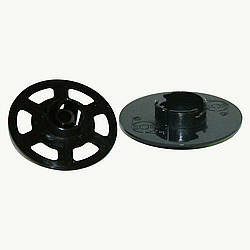 They make it easy to apply pressure-sensitive adhesive tape known as ATG tape. This tape comes unsupported by a backing or carrier (like cloth, film, or paper), and is pre-applied to a special release liner. It is reverse wound, with the release liner being located on the underside when you unwind it from the roll. 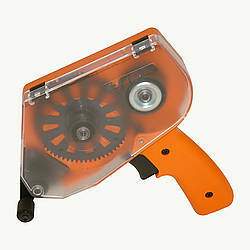 If you were to apply this tape manually to your project, it could be very messy. An ATG dispenser makes it clean and simple to apply. But there are four primary ATG dispensers to choose from. With several varieties of ATG refill rolls available, it can be confusing at first to determine which type fits in your ATG gun. The key is in the design of the plastic core of the ATG refill roll. Some cores have wider openings than others. In the video below, I’ll show you the difference between the ATG refill rolls and explain how to match your ATG dispenser to the right ATG refill tape. For greater detail, our handy matrix will help you determine which ATG refill tape best fits your ATG dispenser. We sometimes get calls from customers saying they may have a defective roll of double-sided tape since the release liner on their roll of tape is reversed and now the tape is on the top of the liner. 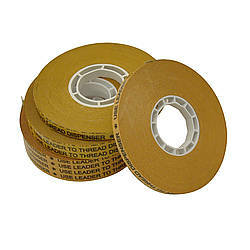 The answer is that that effect will happen when the liner on a double-sided tape roll is removed from a roll without the tape coming off at the same time (if the tape was on the outside of the roll then it would have stuck to the lathe when it was originally cut or to the box it was shipped in for that matter). When the liner goes one revolution around the roll without tape coming off at the same time it will then seem like the roll is reverse wound. To correct the problem you just need to unwind the tape alone (make sure the liner stays in place while you are unwinding the tape) from the roll and go one full revolution around. Then just cut off the tape after that one revolution and the tape will now seem like it is wound the correct way again. We sometimes get calls from customers saying their roll of ATG tape is wound backwards (either at the beginning of the roll or somewhere in the middle of the roll). That effect will happen when the initial leader on an ATG roll (the piece at the beginning of the roll which prevents the adhesive from sticking to the packaging the rolls are sent in) is aggressive so you have to be careful it doesn't take off the first layer of adhesive when it is removed from the roll. Also if the adhesive on an ATG roll sticks to a surface without the liner being wound up at the same you can see that effect. Basically when all the adhesive comes off one full revolution of a roll without the liner being wound up at the same time it will then seem like the roll is wound like a regular roll of double-sided tape instead of a reverse-wound ATG roll. Before you start the procedure below it sometimes helps if you use your finger to press firmly down on the width of the tape as you go one revolution around the roll which will help transfer the adhesive to the correct side. Then to correct the problem you just need to unwind the liner alone (make sure the adhesive stays in place while you are unwinding the liner) from the roll and go one revolution around. Then just cut off the liner after that one revolution and the tape will then seem like it is wound the correct way again.